Hi everyone! Hope you are having a good week. Here is a new nail design expired by snow. It's very easy and simple. 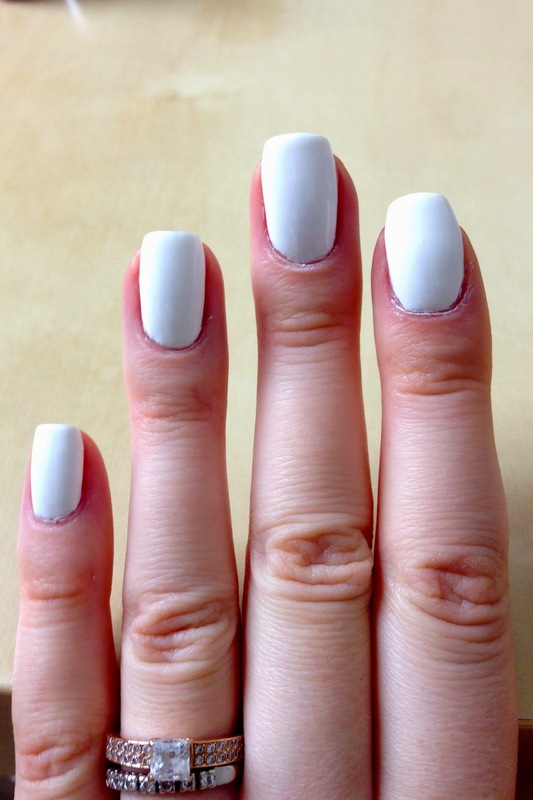 Start with base coat and two coats of white nail polish. I used Alpine Snow by OPI. 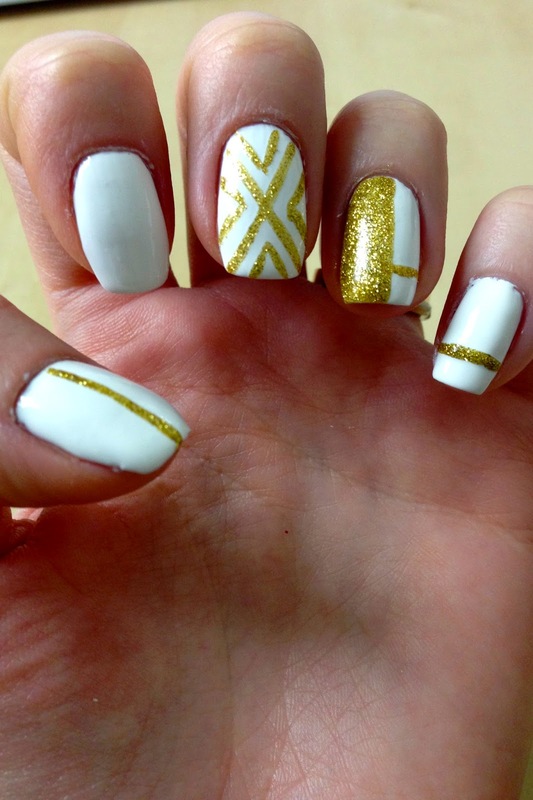 Using thin nail brush paint some stripes: on a little finger - horizontal, on a thumb - vertical. For a ring finger I painted half of a nail with glitter nail polish. On a middle finger I did "aztec'' nail design. Start with big X, then do a little V inside of every triangle. Pointer finger I left plane. Apply base coat and you are done!